Product categories of Panasonic SMT Splice Tape, we are specialized manufacturers from China, Panasonic SMT Splice Tape, Panasonic Special Splice Tape suppliers/factory, wholesale high-quality products of Special Splice Tape for Panasonic R & D and manufacturing, we have the perfect after-sales service and technical support. Look forward to your cooperation! 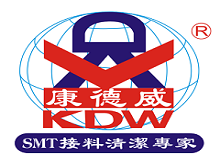 ShenZhen KDW Electronics Co., Ltd. is China's leading manufacturer and supplier of reliable Panasonic SMT Splice Tape, Panasonic Special Splice Tape. We are specializing in designing and producing Special Splice Tape for Panasonic , KME and other SMT pick and place component feeding machines. KDW is constantly researching innovative ways to create special splice products that will help improve SMT production process. Contact us to learn more about our Special Splice Tape products. We will welcome all your inquiries and willing to provide support to your product needs. 4. High efficiency joining is achieved without cutting off the machine 5. The SMT Machine can increase output by 10%-25% .